A few days ago I have seen the new episode of Megalo Box, it was pretty good in my opinion. And the new character that was introduced had got a good background story as well. Aragaki is Nanbus old trainee, Aragaki was training under Nanbu and they were going into Megalonia together. However, Aragaki got called up to go to war suddenly. Due to these circumstances, he and Nanbu got separated. In Megalo Box episode 5 we can see the aftermath of what has happened to their relationship. A very good twist for Nanbus past, and a lot more character development for Nanbu himself. As the story is going it would seem to me that all the characters might get a background story. I think it will go in order like this: Nanbu, Sachiko, Joe. I don’t know why, but for some reason, I believe that Joe’s past will either be kept for later parts of the season or will be left unexplained. Megalo Box episode 5 was very interesting, it even left us with a good cliffhanger. I gotta say that the episode had a really good pace. The story was interesting, but at first glance it made me wonder what’s going on. At the beginning of the episode, we saw some flashbacks from the war. And I was not really sure what was going on. At least not until I saw Aragaki. The dude has been through a lot of trauma so it explains why he is like he is. But it is still irrational in my opinion. The things he is doing are definitely because of his PTSD from war. And his emotional shock that was caused in his opinion because of Nanbu. I will explain more about that soon, however, I’d like to mention another anime that I’m pretty excited about. It’s Goblin Slayer anime adaptation. In war, Aragaki lost his legs, and even though he has new mechanical ones now. I don’t think that he will be recovering any time soon. And what I mean is mental. Unless his fight with Joe changes him, and I think that could also be a possible outcome for him as a character. Either that or he will lose his mind even further. And why I say PTSD? It’s because of what we saw happen to Araragki. First off, he tried to kill himself countless of times after he came back from war. He experienced a mental shock after his promise with Nanbu was broken off. Nanbu promised to wait for him, which he didn’t because he heard on the news that he died. Really a grudge that is being held on irrationally. Then after that, we see all the boxers he fought with were brutally beaten up. I think it’s not only his strength that causes so much damage. I believe he pulls a lot of stress into his fists. Because the character seems like boiling water under his calm surface. 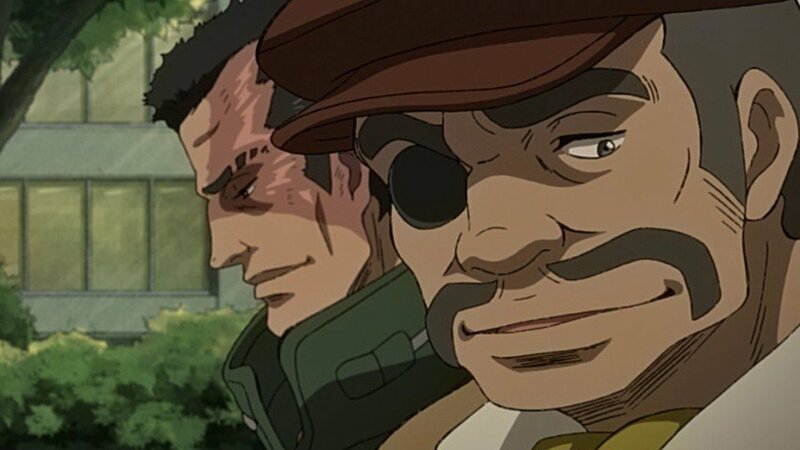 Megalo Box episode 5 had finished off with a cliffhanger, the fight between Joe and Aragaki had just started. The animation of the fight was pretty good. The punches and the moves they used looked animated very well, except for one small scene that looked a bit inverted. But that’s something we don’t have to look at so much. I think that Nanbus past being explained will work very well for the story. And also at the end of the episode, we had the Nanbu – Joe squirmish. After talking to Aragaki, Hoe had decided to fight on his own. I don’t want to be right, but my predicament for the episode 6 would be that Joe will lose a bit and then work with Nanbu and Sachiko to beat up Aragaki and move onto Megalonia.